Use your smartphone to take some cool photos, then Emojify it with the app. (Only 99 cents on iTunes.) 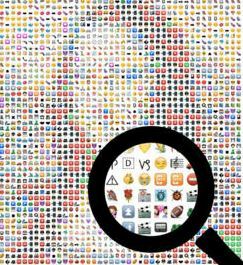 The app translates the photo pixels into emoticons, turning an everyday photo into a collage of icons. 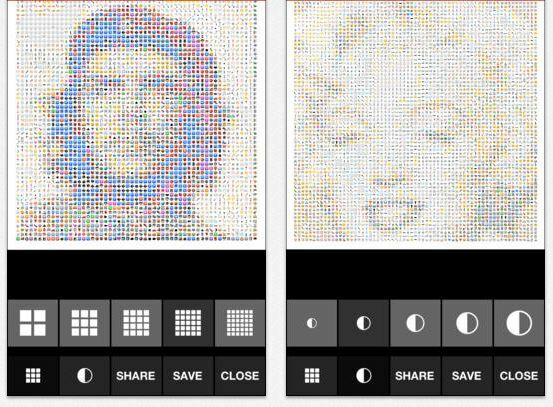 The images are customizable, so you can play with the contrast or vary the number of icons in the image to your liking. Best of all, you can export the images at up to 16 megapixels—which means you can print them as posters and hang them on your wall. Tags: app, collage, emoji, Emojify, icons, iPhone, smartphone, voidworks. Bookmark the permalink.